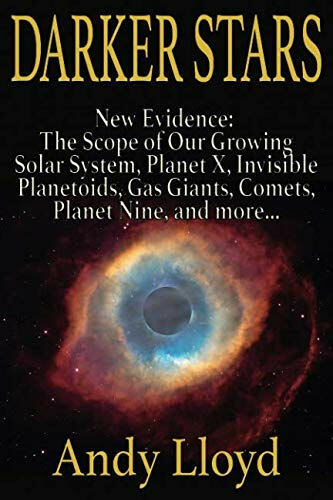 Subtitled "New Evidence - The Scope of Our Growing Solar System, Planet X, Invisible Planetoids, Gas Giants, Comets, Planet Nine, and More…"
Author and researcher Andy Lloyd returns to non-fiction with this popular science book about Planet X and the mysteries of the outer solar system. "Long before astronomers at Caltech postulated Planet 9, and before the discoveries of planetoids like Sedna, Ceres and Eris, Andy Lloyd led the way with his Dark Star theory. "Darker Stars..." -- a culmination of astronomical developments pointing to an object shepherding those planetoids mentioned above -- is a well researched book that picks up where Lloyd's original 2005 non-fiction book "Dark Star - The Planet X Evidence" left off. "Andy takes the gobbledygook talk of scientists and makes it easy to read about the subject whether you are an armchair astronomer like me or just an avid reader with an open mind. 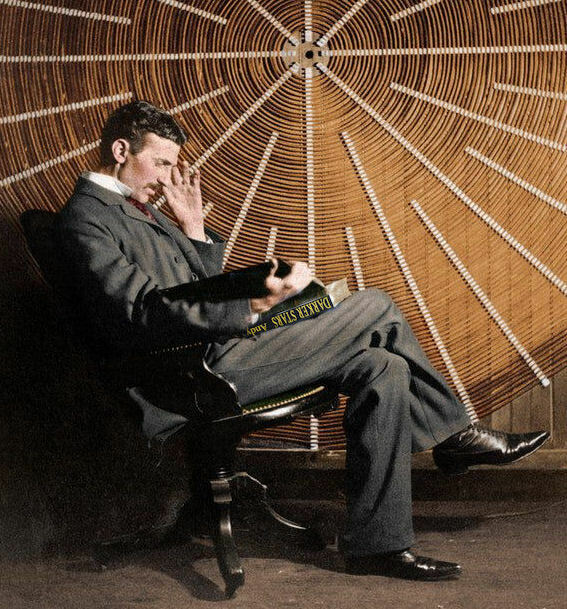 The book is packed full of references, images and illustrations. It is also a must-read for anyone who is interested anomalous subjects such as ancient aliens, Nibiru and the works of Zecharia Sitchin, and how those dots may be connected to what we are learning about the solar system today. "Although the author has taken his fair share of criticism from both the scientific community and some Sitchinites, his theory is cogent and it explains many real solar system anomalies which can only be related to another as of yet undiscovered object "out there." I highly recommend this book, which I can say with confidence is a one-of-a-kind good read!" "Andy Lloyd has ventured into those areas of cosmic research where new hypothesis and theories germinate and blossom into future scientific fact. Andy was exploring these possibilities over a decade ago, and he has done the research quiet efficiently with the fertilizer of astute and creditable references. "If you haven't ventured, or are a student of our cosmic future involving invisible planets, Planet X, and possible habitable planets in our galaxy now recognized by established science, then you need this book."